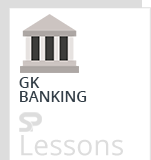 The article “Merchant Bank Services” provides the complete information of “Merchant Banking Services” and key points. What is meant by an issue? An issue is the process of offering securities as an attempt to raise funds. Companies may issue bonds or stocks to investors as a method of financing the business. The term “issue” also refers to a series of stocks or bonds that have been offered to the public, and typically relates to the set of instruments that were released under one offering. As the name suggests, this deals with issuing equity shares, preference shares, and debentures. And it acts as a partner to a high net-worth client by issuing shares & debentures to the general public. Management of issue involves marketing of corporate securities like equity shares, preference shares and debentures or bonds by offering them to public. Merchant banks act as an intermediary to transfer capital from those who own it to those who need it. After taking action as per SEBI guidelines, the merchant banker organizes a meeting with company representatives and advertising agents to finalize arrangements relating to date of opening and closing of issue, registration of prospectus, launching publicity campaign and fixing date of board meeting to approve and sign prospectus and pass the necessary resolutions. Pricing of issues is done by the companies in consultant with the merchant bankers. The capital issue are managed by category-1 merchant banker and constitutes the most important aspects of their services. The public issue of corporate securities involves marketing of capital issues of new and existing companies, additional issues of existing companies including rights issue and dilution of shares by letter of offer. The public issues are managed by the involvement of various agencies i.e. underwriters, brokers, bankers, advertising agency, printers, auditors, legal advisers, registrar to the issue and merchant bankers providing specialized services to make the issue of the success. However merchant banker is the agency at the apex level than that plan, coordinate and control the entire issue activity and direct different agencies to contribute to the successful marketing of securities. The capital issue management comprises of the effective management of market related factors. Issue management is the process of identifying and resolving issues (or) It is a process aimed at detecting issues, reporting on them, fixing them, and creating their data bases. The function of capital issues management in India is carried out by merchant bankers. The Merchant Bankers have the requisite skill and competence to carry out capital issues management. The funds are raised by companies to finance new projects, expansion/modernization/diversification contained in SEBI (Merchant Banker) Rules and Regulations, 1992 clearly brings out the significance of Issue Management as follows: issue management either by making arrangement regarding selling, buying or subscribing to securities as manager, consultant, advisor or rendering corporate advisory services in relation to such issue management. The procedure of the managing a public issue by a merchant banker is divided into two phases and those are discussed below. 1. Obtaining stock exchange approvals to memorandum and articles of associations. 7. Obtaining consent from parties and agencies acting for the issue to be enclosed with the prospectus. 8. Approval of prospectus from Securities and Exchange Board of India. 9. Filing of the prospectus with Registrar of Companies. 10. Making an application for enlistment with Stock Exchange along, with copy of the prospectus. 11. Publicity of the issue with advertisement and conferences. 1. To verify and confirm that the issue is subscribed to the extent of 90% including devolvement from under writers in case of under subscription. 2. To supervise and co-ordinate the allotment procedure of registrar to the issue as per prescribed Stock Exchange guidelines. 3. To ensure issue of refund order, allotment letters / certificates within the prescribed time limit of 10 weeks after the closure of subscription list. 4. To report periodically to SEBI about the progress in the matters related to allotment and refunds. 5. To ensurehe listing of securities at Stock Exchanges. 6. To attend the investors grievances regarding the public issue. 7. The Merchant Bankers for managing public issue can negotiate a fee subject to a ceiling. This fee is to be shared by all lead managers, advisers etc. Pricing method is used to set the price of producer’s offerings relevant to both the producer and the customer. An issuer may determine the price of specified securities in consultation with the lead merchant banker or through the book building process. An issuer may determine the coupon rate and conversion price of convertible debt instruments in consultation with the lead merchant banker or through the book building process. The issuer shall undertake the book building process in a manner specified in Schedule XI of SEBI notification regarding Capital Issue Market. Provided that the difference between the floor price and the price at which specified securities are offered to employees shall not be more than ten per cent of the floor price. What is meant by Price Band? A price band is a value-setting method in which a seller indicates an upper and lower cost limit, between which buyers are able to place bids. The price band’s floor and cap provide guidance to the buyers. This type of auction pricing technique is often used with initial public offerings (IPOs). The issuer may mention a price or price band in the draft prospectus (in case of a fixed price issue) and floor price or price band in the red herring prospectus (in case of a book built issue) and determine the price at a later date before registering the prospectus with the Registrar of Companies: Provided that the prospectus registered with the Registrar of Companies shall contain only one price or the specific coupon rate, as the case may be. If the floor price or price band is not mentioned in the red herring prospectus, the issuer shall announce the floor price or price band at least two working days before the opening of the bid (in case of an initial public offer) and at least one working day before the opening of the bid (in case of a further public offer), in all the newspapers in which the pre issue advertisement was released. The announcement referred to in sub-regulation (2) shall contain relevant financial ratios computed for both upper and lower end of the price band and also a statement drawing attention of the investors to the section titled “basis of issue price” in the prospectus. The cap on the price band shall be less than or equal to one hundred and twenty per cent of the floor price. The floor price or the final price shall not be less than the face value of the specified securities. Explanation: For the purposes of sub-regulation (4), the “cap on the price band” includes a cap on the coupon rate in case of convertible debt instruments,. b. if the issue price per equity share is less than five hundred rupees, the face value of the equity shares shall be ten rupees per equity share: Provided that nothing contained in this sub – regulation shall apply to initial public offer made by any government company, statutory authority or corporation or any special purpose vehicle set up by any of them, which is engaged in infrastructure sector. 2. The disclosure about the face value of equity shares (including the statement about the issue price being “X” times of the face value) shall be made in the advertisements, offer documents and application forms in identical font size as that of issue price or price band. Explanation: For the purposes of this regulation, the term “infrastructure sector” includes the facilities or services as specified in Schedule X. In the case of a public issue the company is required to take certain steps by which the potential investing community is appraised of the features of the forthcoming issue. The need for marketing the public issue arises because of the highly competitive nature of the capital market. Moreover, there is a plethora of companies which knock at the doors of investors seeking to sell their securities. Added to this, the media bombards the modern investors with eye catching advertisements to sell their concepts to prospective investors. The first step towards the successful marketing of securities is the identification of a target market segment where the securities can be offered for sale. This ensures smooth marketing of the issue. Further it is possible to identify whether the market comprises of retail investor or institutional investors. After chosen the target market for selling the securities steps are to be taken to assess the maximum number of subscriptions that can be expected from the market would work to the advantage of the company if it concentrates on the regions where it is popular among prospective investors. After assessing market expectations, the kind and level of price to be charged for the security must be decided. Pricing the issue also influences the design of capital structure. The offer has to be made more attractive by including some unique features such as safety net, multiple options for conversion, attaching warrants etc. For successful marketing of public issues, it is important that efforts are made to enter into contracts with financial intermediaries such as an underwriter, broker/sub-broker fund arranger etc. Every effort should be made to ensure that the offer document of the issue is educative and contains maximum relevant information. Institutional investors and high net worth investors should also be provided with detailed research on the project, specifying its uniqueness and its advantage over other exiting or upcoming projects in a similar field. In order to push the public issue, the lead manager should undertake a high voltage advertisement campaign. The advertising agency must be carefully selected for this purpose. The theme of the advertisement should be finalized keeping in view SEBI guidelines. An ideal mix of different advertisement vehicles such as the press, the radio, and the television, the hoarding etc should be used. Press meets, brokers and investors conference etc shall be arranged by the lead managers at targeted regions. It would be appropriate to make use of the services of Market Research organizations that specialize in carrying out opinion polls. These services would be useful in collecting data on ‘investors’ opinion and reactions relating to the public issue of the company. Such a task would be to develop an appropriate marketing strategy. This is because there are vast numbers of potential investors in semi-urban and rural areas. This calls for sustained efforts on the part of the company to educate them about the various avenues available for investment. As of the part issue campaign the lead manager should arrange for ‘brokers’ and ‘investors’ conferences in the metropolitan cities and other important centers which have sufficient investor population. In order to make such endeavors more successful advance planning is required, It is important that conference materials such ads banners, brochures, application forms, posters etc reach the conference venue in time. In additions, invitation to all the important people, underwriters, bankers at the respective places, ‘investors’ association should also be sent. A critical factor that could make or break the proposed public issue is its timing. The market conditions should be favorable. Otherwise, even issue from a company with a recent track record, and whose shares are highly priced might flop. Similarly the number and frequency of issues should also be kept to a minimum to ensure the success of the public issue. A merchant bank typically works with companies that may not be large enough to raise funds from the public through an initial public offering (IPO), and these banks use more creative forms of financing. Merchant banks help corporations issue securities through private placement, which requires less regulatory disclosure and are sold to sophisticated investors. Investment banks, on the other hand, under write and sell securities to the general public through IPOs. The bank’s clients are large corporations that are willing to invest the time and expense necessary to register securities for sale to the public. Investment banks also provide advice to companies regarding potential mergers and acquisitions, and provide investment research to clients. Both investment banks and merchant banks strive to build relationships with corporations so that the institution can provide a variety of services.